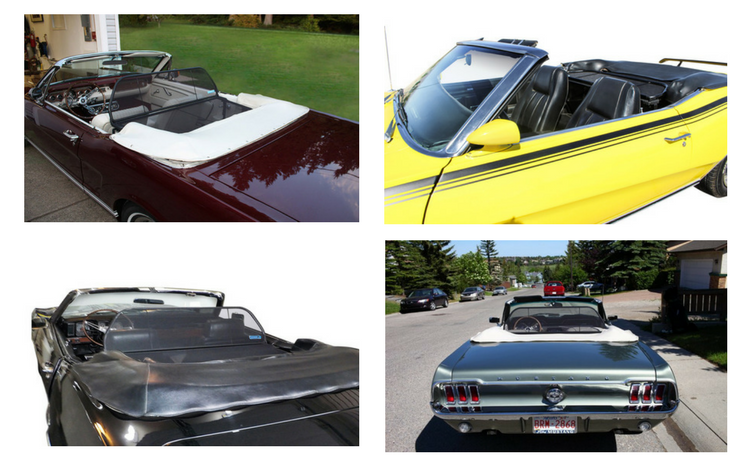 Experience for yourself why wind deflectors are the #1 Mustang convertible accessory! Love your Mustang convertible more with a wind deflector. Drive your convertible Mustang with the top down in more comfort. You can drive, with the top down, earlier in the spring and later into the fall while enjoying up to 75% less wind and noise, with a wind deflector. Owning Mustang convertible is great, so enjoy top down driving even more with less wind and more fun. Try it and we know you will love it. You can try it Risk Free. We offer 100% money back guarantee and even offer free return shipping if you do not love it. Please click on your Mustang convertible below for more details & an install video. Mustang convertible wind deflectors are the number one convertible accessory because they allow you enjoy your top down driving even more. See and feel why convertible Mustang owners love their wind deflector.